Perhaps part of the "interesting data" Richard Rosenblatt was talking about was link anchor text on expired domains & cybersquatting efforts that he could redirect in bulk at high earning eHow pages. I am not sure how long Yahoo! 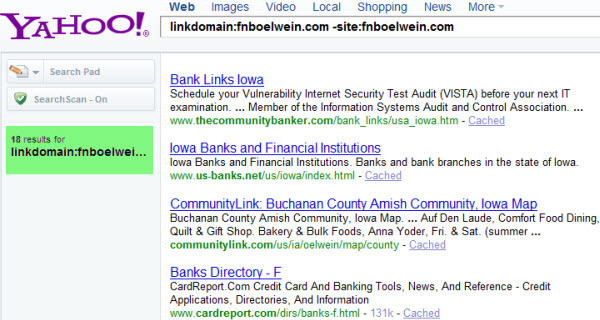 's link function will work for, but below are screenshots showing the inbound links pointing at these expired domains that eHow was exploiting. Buying expired domain names for links is something Matt Cutts loathes. In fact, the first time he came across spam it was someone doing the exact same thing eNom was doing above - taking a well linked to domain name and leveraging that link equity for another purpose (see the very first question in the following video). The very technique that eHow uses today is *exactly* what caused Matt to create Google's anti-spam team! Google's blind eye and double standards toward the large MFA spam sites are becoming such a big issue that it looks to be at the core of the marketing strategy for new search engines! I think that suggesting that Google serps are financially swayed, or even insinuating the mere possibility, is a big no-no. "I know what Jasons's doing, but remember it's about the user's not Jason!" Sure. The reason SEO's are all ticked about all of this is because all SEO's have tried violating the Webmaster Guidelines and we've paid the price for it. Jason get's to violate Google's guidelines, and hide behind Google's ideology of providing a good user experience. Even Matt Cutt's is passively defending Mahalo and it's sick. I remember Aaron Wall building a site awhile back that he invested over 50k in, and Google didn't like HOW he SEO'd it so they punished him. Matt Cutts didn't mention anything about the content, or how it provided a poor user experience, but what he mentioned was how him and his team thought it was kind of sketchy what Aaron Wall was doing. So they punished him. Matt, don't you think Jason's strategy is sketchy? Kind of like Aaron's? Matt, your actions in all of this have said that Jason is in Google's good graces for reasons we may never know. Dude, I love what you do. You are the 60 Minutes investigative reporter of SEO, keeping Google honest. Or at least doing your damned hardest to try. Unfortunately, some people interpret these types of posts as "outing." I think you need to clarify. Are you outing Demand Media and Maholo, or are you pointing out hypocrisy in Google? In any case, where do you draw the line in trying to make the internet a better place? Love to hear your thoughts as there is so much fascinating stuff going on in your mind I have trouble wrapping my head around it sometimes. The differences in pointing out hypocrisy and outing are not so subtle. am I only mentioning this to pull in links? am I only mentioning this because the site competes directly against me? am I only mentioning this because I think I have the clout to burn that site to the ground? If the answers to the above types of questions is "yes" then certainly that would be outing. But if I am doing it to express a point and display the absurdity and arbitrary nature of search spam then that is something different all-together. I don't care if people operate in the gray area. By definition, almost anyone who wants to make a lot of money will be forced to operate in the gray area when judged by external market participants (the whole reason opportunity is there is because someone else didn't see it, failed to realize its potential, or thought it was below them, etc etc etc). What I *do* care about is if 1 group of people operate in the gray area and are crushed for it, whilest another group of people do the exact same thing (except to a much larger scale with a much more extreme + flagrant strategy) and have it considered reasonable. The point I am trying to make here is *not* that OMG someone is violating Google's guidelines. Most successful websites at some point in their life do. Sure TripAdvisor might be pretty clean today, but 5 years ago they were buying *A LOT* of links! I believe at one point in time they were TLA's #1 customer. The point I want to make is that the same violation has differing impacts & risks depending on who is doing it. And that Google's relevancy guidelines are a device used to arbitrarily harm smaller and weaker market participants. Even if you do not get banned, but only operated at x% of your traffic potential (because you ensured you did not violate the guidelines) the opportunistic plays like Mahalo are still taking a cut of your living for provide virtually no value to the medium. And Google is the one encouraging + paying for such set ups. See, I think there is a different distinction. I think that it is even simpler than that, Aaron. Imo if it's something you think Google missed, then it is clearly an outing. If it's something you think Google is deliberately ignoring and being unfair about, it's discussing G's hypocrisy. Not only did Google not miss these sites, they are actually defending not penalizing them. Great point. And you state exactly how extreme the above cases are. Google is out. Again. The examples are very public. The way that Aaron, you Michael, and Danny Sullivan have each carefully positioned at least one logical, well-supported, seemingly indisputable argument against the things are happening have obviously got Matt's, and Google's attention. I am sure Jason will be along shortly if his name keeps coming up, too. The fact that it continues, is up to Google to remedy. Personally, I want to like and trust Google like I used to, before all this money got clogged-up in it. I am an early adopter, so I want to get back to my kool-aid. I had blind faith for years. They make it increasingly difficult to trust them now - I see them as the inspiration behind back-filling digital cesspools. Follow the money backwards. Posts like this, to me, are an important way for them to understand more intrinsically how it matters - so even when they don't seem to respond, it is nice to see you continue to have the seeds and persistence to simply present unadulterated facts. ...gets preferential treatment all the time. Wasn't it the NY Times screaming about content mills the other day, saying Google needed to have standards and only allow "professional" content? I came across this myself about a week ago when I was checking for dead links on one of my websites. One of the blogs that had linked to a post on my site (pingback link) is now being redirected to a credit card page on eHow. wth? I experimented with this very thing (forwarding on-topic domains to one of my sites for the traffic) and google killed my site in the serps. I mean killed it dead and then gave it a karate chop. Within weeks too if I remember correctly and with private whois--and this was a couple years ago so Google definitely has a handle on this sort of thing. Maybe that's the difference, I was using on-topic domains rather than grabbing all kinds of off-topic stuff to forward to cheesy credit card pages. I eventually removed the forwarded domains (I waited over a year just to see if time would make a difference)...and within weeks the site was back in the serps. I'm so freakin p!ssed about ehow being able to enjoy the juicy, targeted traffic this tactic brings, I can't even tell ya. PS: If you have a wordpress site, install the broken link checker plugin and comb through your links, your comment author links and your pingbacks/trackbacks. eHow redirect stuff is likely crawling all over your site (if you have a lot of outbounds, trackbacks and comments). I've been getting more "offers to buy" via contact forms and through whois and they don't "appear" to be coming from some big media company--but who knows. Has Cutts actually addressed THIS issue, specifically? Preferential treatment and 'trust' only goes so far, and this is such a blatant abuse by Demand that I'd be surprised if it isn't addressed at some level. And I doubt this has anything to do with money, at the macro level. They could lose Demand and hardly put a dent in their bottom line. Non-issue here. i have seen almost all matt cutts videos and searched alot about expired domains link juice. every expert said it wont work for link building. but i have tried it my self and believe me expired domain worked. after few days of registering website its got the old PR. suppose it was PR4 but now it is PR3. but this is not the big difference. if PR is about authenticity of domain then it should be good. 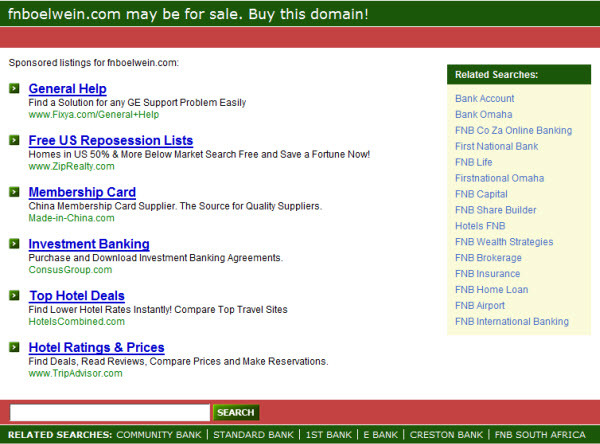 Then i experimentally purchased 5 expired domains. all got the old PR after few days. 3 of them were relevant keywords to my website. i put the almost same type of content as in old age in same 3 websites. google also index the pages quickly. but i am not sure that will they pass link juice or not? but about 2 domains that were not relevant, i ve put not so relevant content to old age and google doesnot index its pages since 3 weeks but both the domains have old age PR. now my question is that how should i know that this domain is passing PR or not? if i have similar relevant websites then should i link my own websites or 301 redirect these websites ?